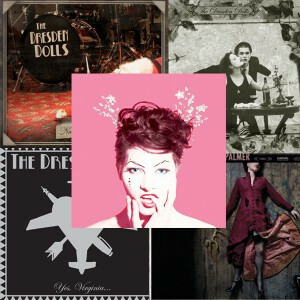 Direct-to-fan pre-sales for the first leg of Amanda Palmer & The Grand Theft Orchestra’s tour in support of “Theatre Is Evil” are now LIVE exclusively at tickets.amandapalmer.net! Additionally, this is the first chance since AFP’s Kickstarter campaign ended in May that anyone has had to order the new album. Alongside a brand new poster and t-shirt, the record is available digitally, as well as on CD and vinyl. Kicking off on September 10th in Philadelphia and running through November 17th in Boston – with dates all over North America and Europe in between – today marks the fan’s first chance at securing their way in to events that will surely sell out quickly. As Amanda told fans in an email blast last weekend: scream it in the streets: WE HAVE DIRECT TICKETING!!! i’ve been hoping and praying to be able to do this for YEARS – to sell tickets directly to my audience without ticketmaster and other middle-people. you may have seen what LOUIS C.K. is doing over in his world – he’s taken his direct-to-fan ticketing 100% and is literally selling every one of his tickets HIMSELF off his website. we’re not totally there yet – i still have to play ball with the giant system of venues and promotors and the world at large, BUT i’ve at least managed to free up about 10-20% of all venue tickets to sell direct to you guys. Tickets for Europe and North America are currently onsale exclusively on Amanda’s site. I chose the ticket & t-shirt bundle – thanks, Amanda. The t-shirt arrived and is lovely, but is the ticket waiting for collection at the venue? Please reply – I’m having horrible visions of me showing up at the QMU and not being able to get in.